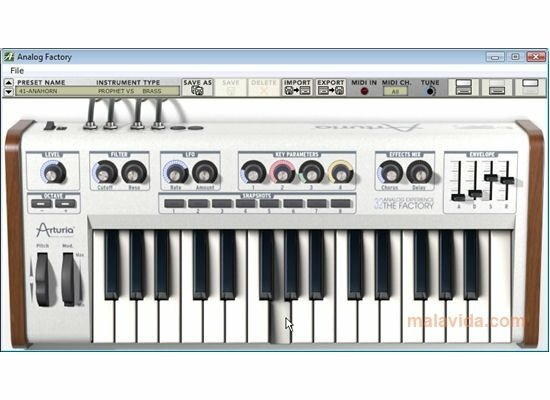 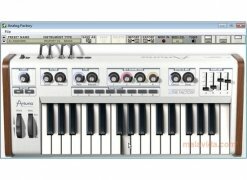 Virtual instrument users and music production enthusiasts in general, know the name Arturia perfectly well. 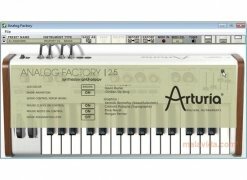 This company specialized in products for the world of music production now offers us Analog Factory, a virtual instrument with 3,500 sounds extracted from the best synthesizers in the company's history and that have now been offered to enjoy on the computer. 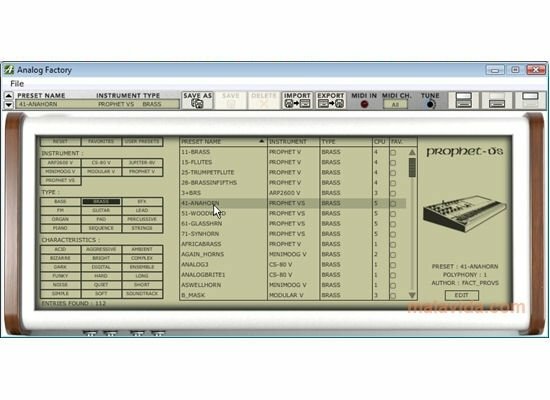 All the presets have been extracted from mythical instruments like Minimoog V, Moog Modular V, CS-80V, ARP 2600 V, Prophet V, Prophet VS and Jupiter-8V. 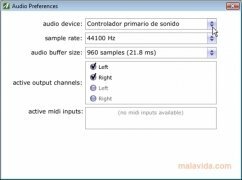 The quality of the audio is inestimable. 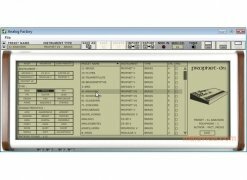 To organize such an amount of sound the application has a dedicated search engine that uses the features of each preset to improve the library's organization. 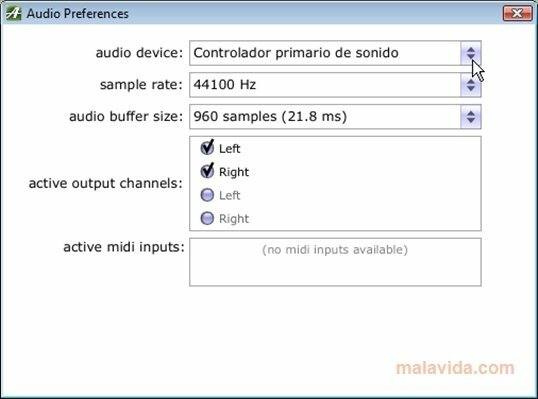 It's possible to search for the sounds by instrument, kind and features. The editing possibilities for each sound are unique due to the filters, the LFO's, the effect mixes or the ADSR envelope that it includes. 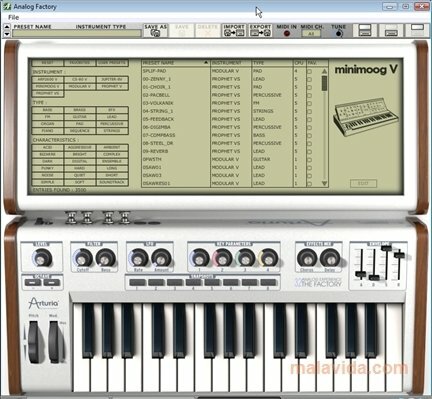 Furthermore, you can play the instruments by means of any external MIDI controller, having included a control center from which it will be possible to modify the preferences and configurations. 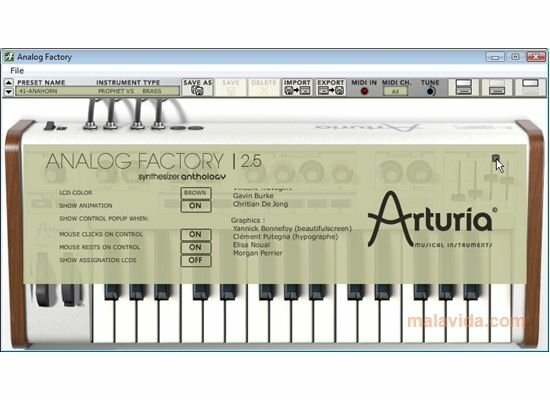 If you're an unconditional follower of the Arturia sound you have to install Analog Factory, a pack of sounds that have been extracted from the company's best products to create unique sound textures. 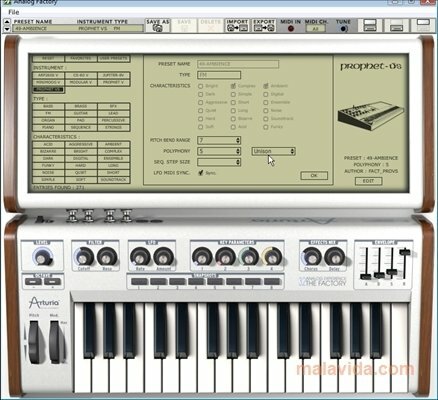 The trial version only has 137 instrument presets. The trial version doesn't offer you the possibility to save the presets.